Some say there is a new monster in Canada living in a lake on Vancouver Island. John Kirk, cofounder of The British Columbia Scientific Cryptozoology Club, say his org. 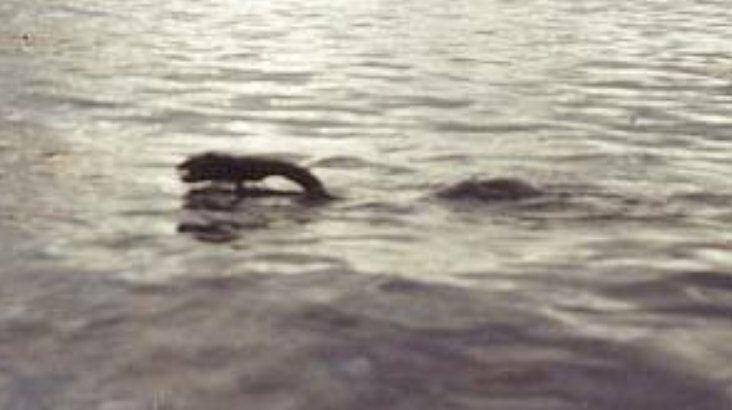 Began cataloguing sighting reports of an odd creature in Cameron lake about five year ago when two people reported seeing a black animal in water. He proclaimed witnesses have been describing what looke like a lake monster. He added that British Columbia has more reputed lake monster than anywhere else. Kirk believe that the creature may be found and spent one day aboard, a boat searching lake. Using a fish finder, Kirk’s team found what he believes was a giant object a mid a school of fish about 60feet below surface. Because the sonar picked up the object over the course of several passes, Kirk believes anomalous reading was not a simply tight pack of fish which would’ve eventually dispersed. Yet sonar images by fish finder inherently ambiguous and give very little info. Unfortunately, the promise of better evidence vanished in the cold lake when the investigate team lost its underwater camera. May fastener was not properly tightened or perhaps lake monster had it for lunch. Whatever the reason the flash had to be called off. While Cammy is the newest monster, the most famous mystery serpent in the area is Caddy, a serpentine lake monster. As with all such animals there is little consensus on what they might be, perhaps a known fish, survived plesiosaur or eyewitnesses’ mistaken perception. Whilst the media entertain conjecture about lake Cameron monster. Indeed, the recent vintage of this monster sighting argues against existence of large unknown creature living there. In a photograph taken by a woman in 2007, it more looks like a large fish. Although infact there was something strange, but there is an illogical leap in assuming that “something strange” is necessarily unknown lake monster. An engineering student and independent researcher. I'm researching and studying quantum physics(field theories). Also searching for alien life. There are certainly strange creatures lurking in our lakes. Some thought to be extinct pre-historic fish are still being caught today so it it is still possible that the lake monsters still exist today. Existence of lake monsters still remains as possibility. Possibly they may be survived prehistoric creatures from much early catastrophism. Witnesses generally have blurry photographs of such creatures(sometimes videos) but it can’t be accepted by mainstream. I’ve much detail here. https://bruceleeeowe.wordpress.com/2009/04/29/the-lindorms-dragon/#comment-25. Take example by Cammy photograph it more looks like large fish. Sometimes known creatures are misinterpreted by peoples. It need more tangible evidence to prove anything. Actually this case lies somewhere between these two case scenarios. In Lake Champlain between Upstate NY and Vermont, there’s a legend of ‘Champ’, a famous lake monster there. Nobody knows for certain whether creatures like Champ and Nessie truly exist, but I hope they do! Keep hoping! May one day we hear in our news channels,”Prehistoric Creature Found Alive”. Different student sould treat term paper writers really carefully, just because they perform the professional custom write connected with this topic. Therefore, it’s not a problem to order essays because of that at present time.